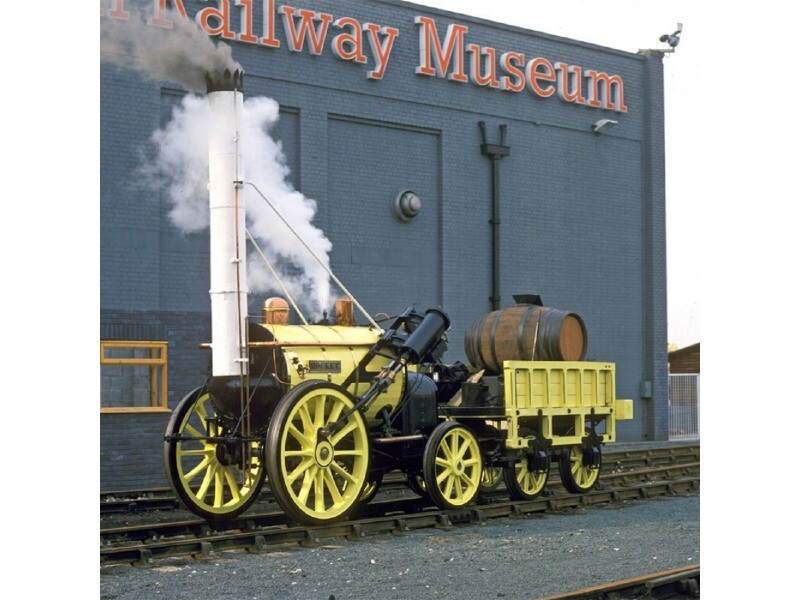 Part of the Bigjigs Rail Heritage Collection this Rocket Train is an amazing replica of one of the most advanced engines of its day. 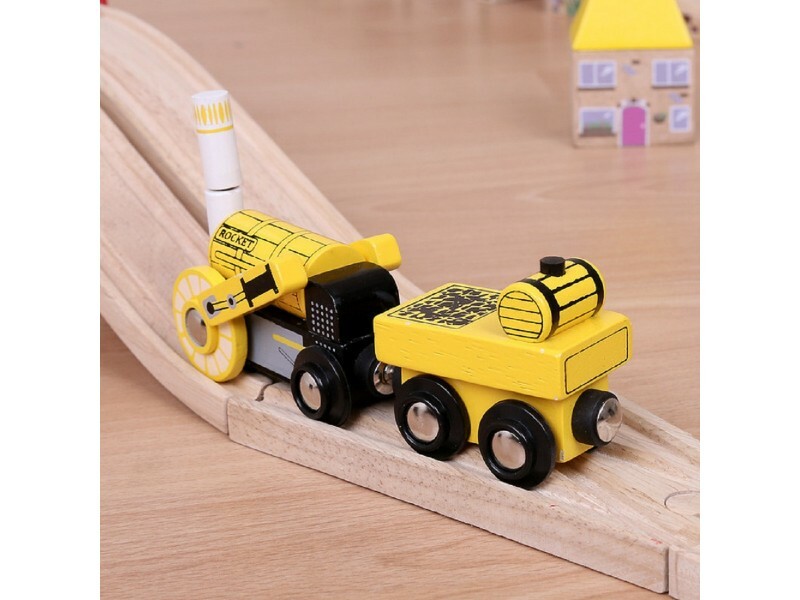 Compatible with almost all other wooden rails on the market, this recreation of Stephenson's Rocket Engine is sure to be a favourite of any young rail lover. 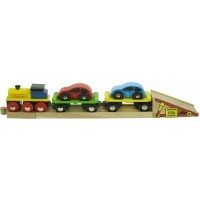 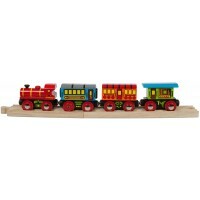 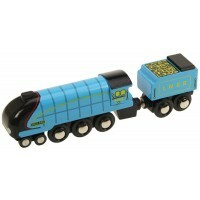 The box includes historical information of this style of train which dates back to 1829. 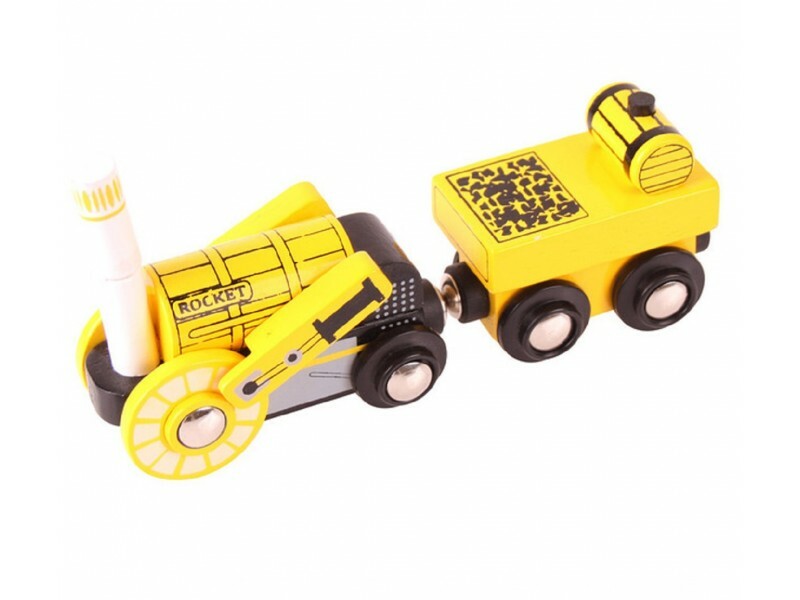 Truly iconic, the engine attaches to the included coal car with magnets, and can be attached to a longer sting of cars all the way to whatever caboose you choose.